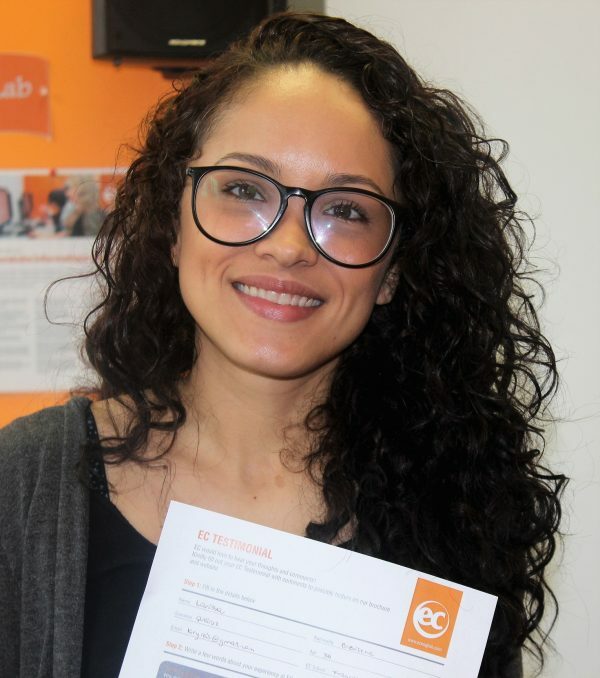 Larissa Reis Costa De Queiroz is a lovely woman from Brazil participating in EC Montreal’s French programme. Sadly, this is her last week at EC. Here is what she wanted to share with everyone about her EC experience. Please note that this testimonial has been translated from French. A friend recommended EC to me and I did my own research online. I read all the testimonials posted on the EC Montreal blog so I knew that I had made the right decision. The staff and teachers are attentive. The teachers are excellent. If I could, I would stay longer at this school. Thank you for hosting me at your school. Experience our school and Learn french in montreal!